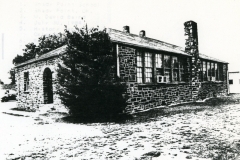 A four room building, the Shady Point school is a single story, rectangular (75′ x 44′) structure constructed of cut and roughly coursed native sandstone. The hipped roof has a gable dormer without lights above the centrally placed front entry. The front and side entries are recessed with archways. Wood sash windows with cut stone sills reach to the eaves. A metal building is adjacent but not attached to the structure; it does not impeach the integrity of the building. 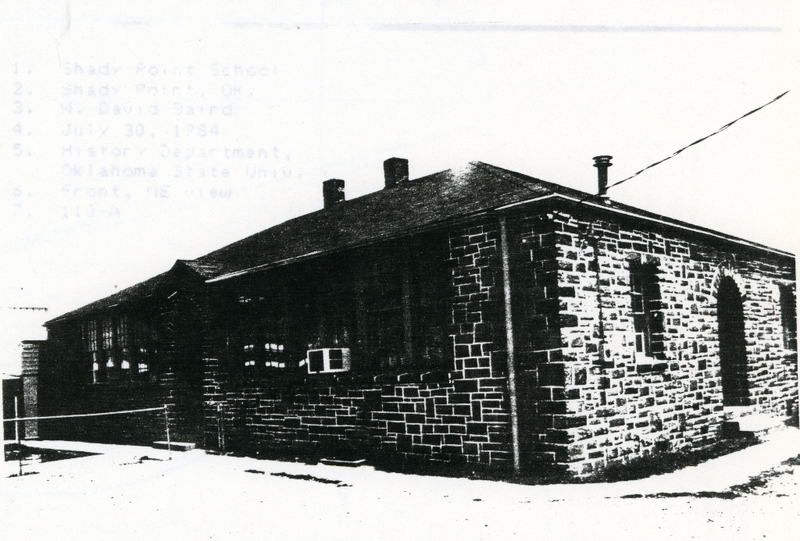 Construction of the school building, significantly, provided work opportunities and a measure of economic security for destitute and unskilled laborers in the Shady Point area who had been forced on relief rolls during the course of the depression. It also created a new environment conducive to learning for students previously deprived educationally. 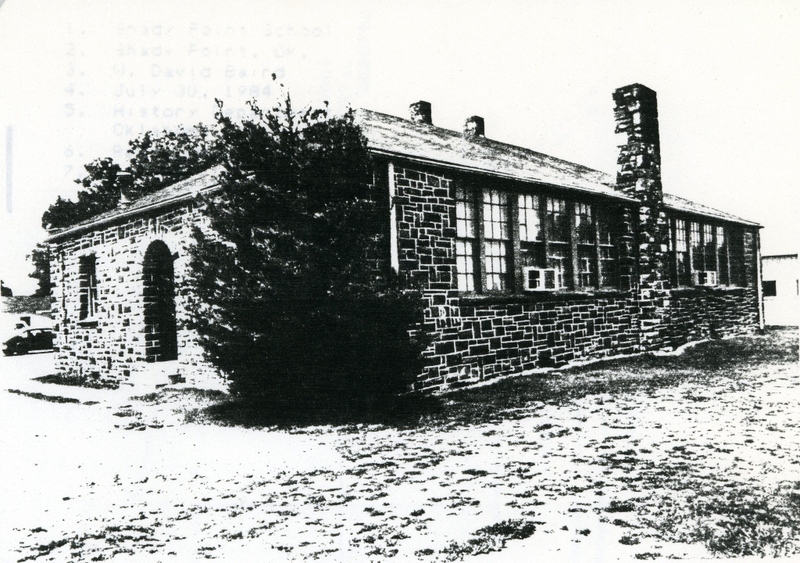 That the structure is still used by the school district reflects just how important it has been. Architecturally the building is unique in the community because of its style, scale, materials and workmanship. VERBAL BOUNDARY DESCRIPTION: Situated on the northeast edge of the community, the property line begins at the SE corner of the SE 1/4, of the SW 1/4 of Sec. 27, T 8 N, R 25 E, then goes north 418 feet, west 209 feet, south 418 feet and east 209 feet.